A 30-year-old man identified as Sunday Ngene, is standing trial at an Ikeja Magistrate's court after he allegedly cut a trader with a machete, and also defecated in his shop. NAN reports that Ngene, a resident of Agege Area, a suburb of Lagos, is standing trial on a three charge of indecent acts, threatening violence and assault. The prosecutor, Insp. Raji Akeem, told the court that the accused pleaded not guilty to the offences he committed on March 7 at No. 92, Ipaja Road, Oke-Koto, Agege. Akeem said that the accused assaulted James Edeoga by stabbing him with a cutlass in the hand. The prosecutor said that Ngene attempted to buy some goods from the complainant, but when Edeoga refused to sell to him, the accused defecated in his shop and used it to rub some of the complainant’s goods. He said that when the complainant tried to confront him, the accused stabbed the complainant in one of his hands with a cutlass. Akeem said that Edeoga, annoyed by what Ngene did to his shop, reported the matter to the police; and the accused was arrested for further questioning. 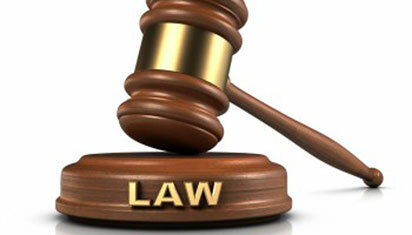 The prosecutor said the offences contravened Sections 56, 134 and 171 of the Criminal Law of Lagos State, 2011. The magistrate, Mr T.O. Shomade, granted bail to the accused in the sum of N100,000 with two sureties in like sum. Shomade said the sureties must be gainfully employed and show evidence of two-year tax payment to the Lagos State Government. He adjourned hearing in the case until April 10.